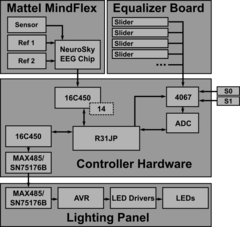 CEREBRO is a system that provides rudimentary translation of signals captured from a consumer EEG device into a lighting display output. 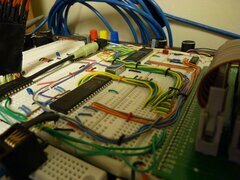 As my final project for 6.115 (MIT’s “microcomputer” class), this project required use of an 8051-based class labkit, with code written in assembly. 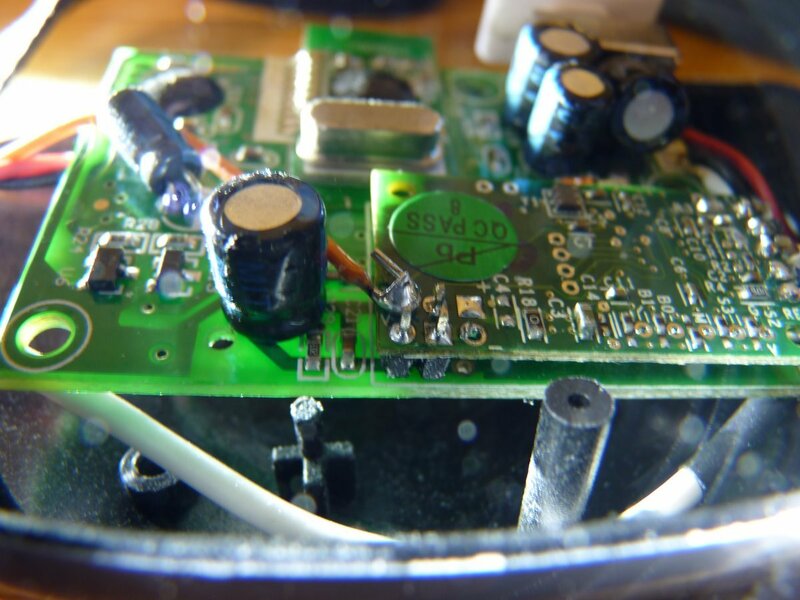 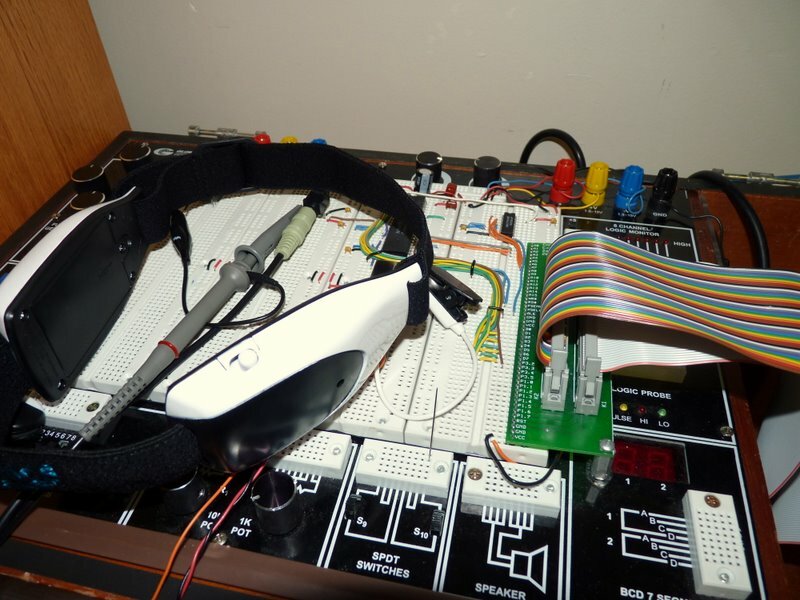 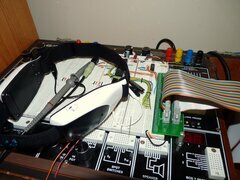 EEG sensor data was obtained by modifying the headband of a Mattel Mindflex toy to output data from the NeuroSky TGAM1 module within it. 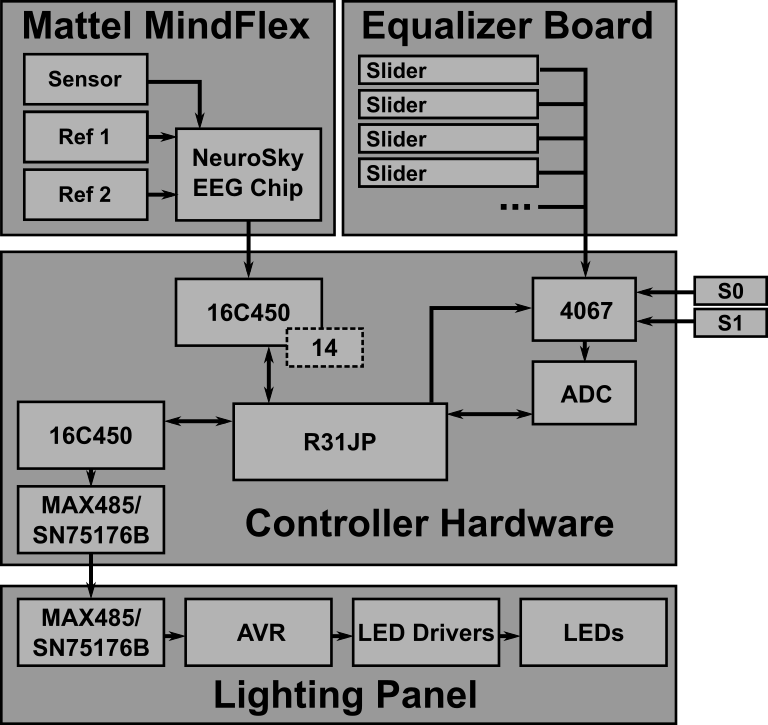 CEREBRO’s 8051 is responsible for computing a lighting display pattern in realtime and driving a light fixture similar in design to that of ACRIS. 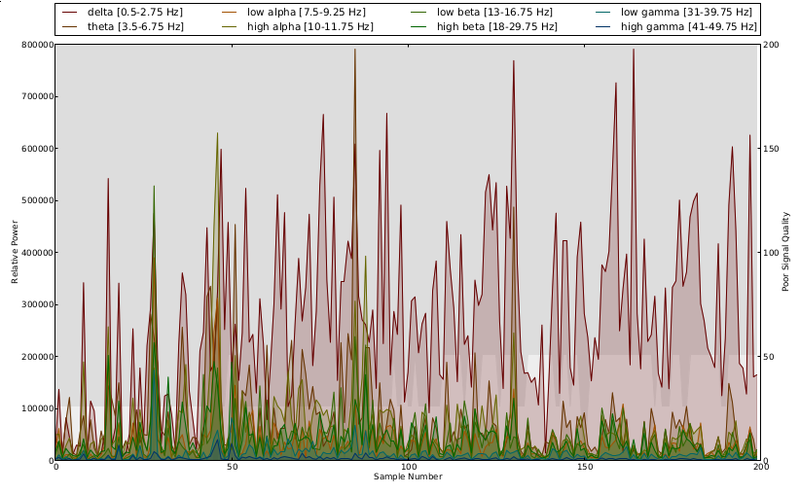 A few simple signal processing algorithms were built to showcase CEREBRO. 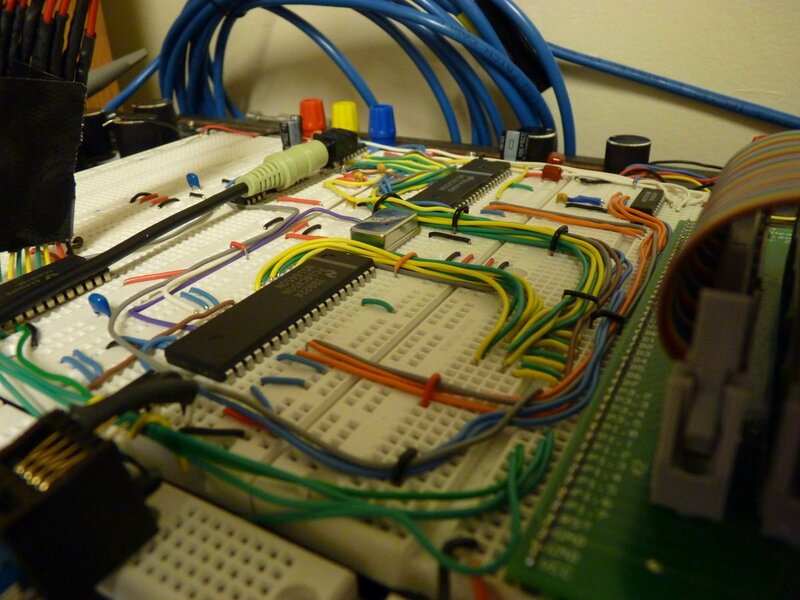 An analog equalizer board could be used to adjust the algorithm behavior.